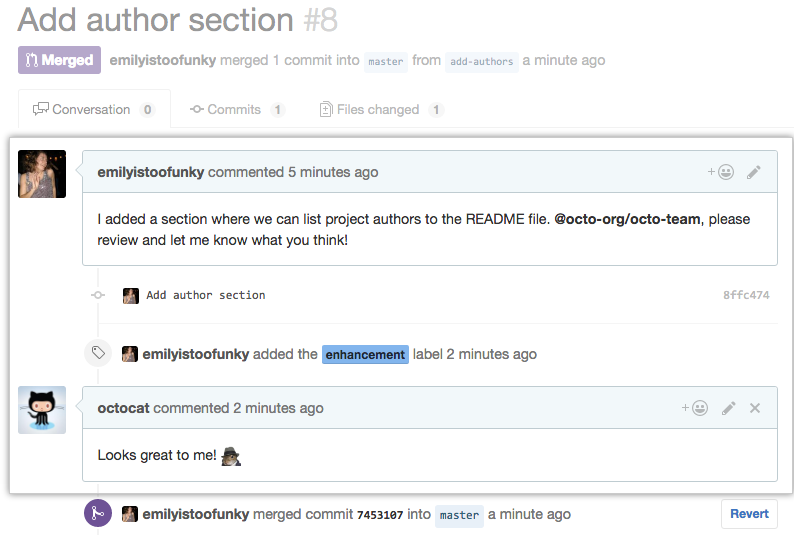 After you open a pull request in a repository, collaborators or team members can comment on the comparison of files between the two specified branches, or leave general comments on the project as a whole. You can comment on a pull request's Conversation tab to leave general comments, questions, or props. You can also comment on specific sections of a file on a pull request's Files changed tab in the form of individual line comments or as part of a pull request review. Adding line comments is a great way to discuss questions about implementation or provide feedback to the author. For more information on adding line comments to a pull request review, see "Reviewing proposed changes in a pull request." Note: If you reply to a pull request via email, your comment will be added on the Conversation tab and will not be part of a pull request review. To reply to an existing line comment, you'll need to navigate to the comment on either the Conversation tab or Files changed tab and add an additional line comment below it. Pull request comments support the same formatting as regular comments on GitHub Enterprise, such as @mentions, emoji, and references. 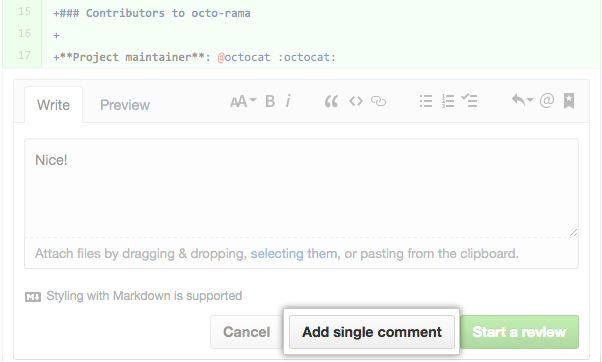 You can add reactions to comments in pull requests in the Files changed tab. In the list of pull requests, click the pull request where you'd like to leave line comments. Hover over the line of code where you'd like to add a comment, and click the blue comment icon. In the comment window, type your comment. When you're done, click Add single comment. Anyone watching the pull request or repository will receive a notification of your comment.